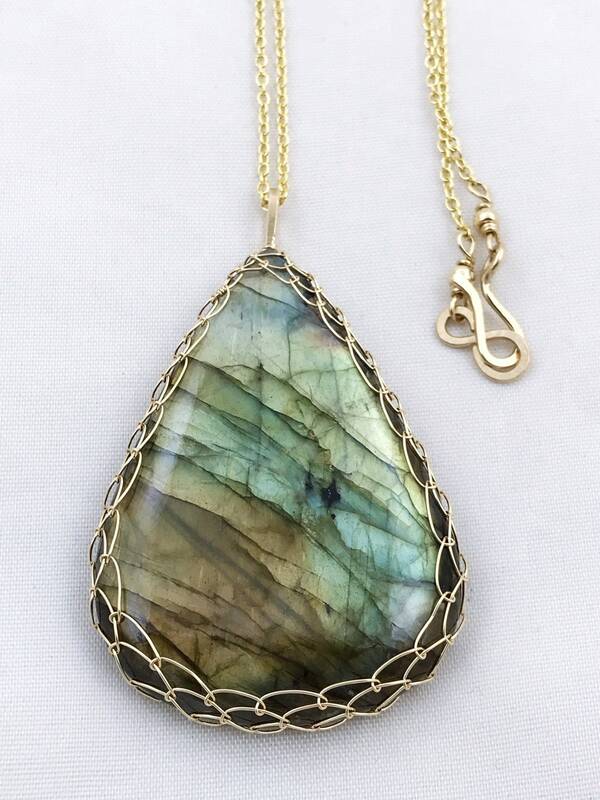 One of a kind 14k gold filled genuine Labradorite pendant necklace. 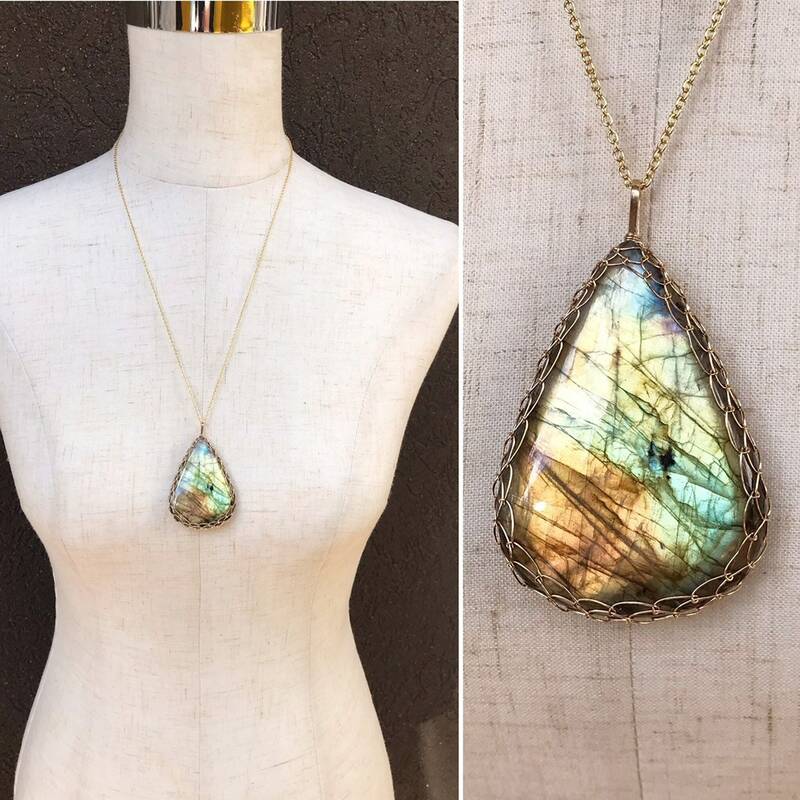 This necklace is meant to turn heads and make a statement. 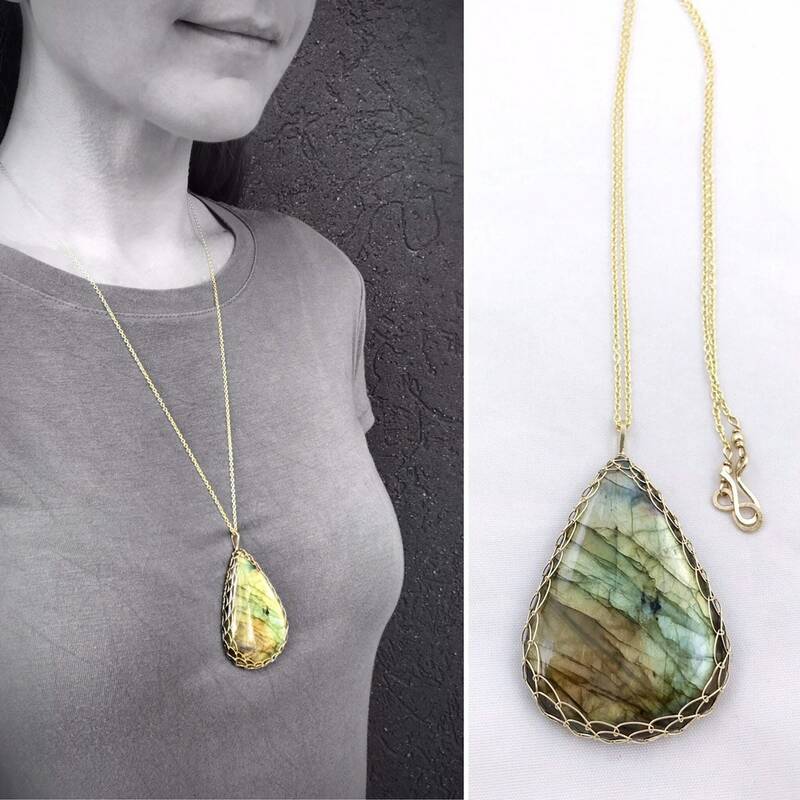 It is one of the most exceptional Labradorite stones I have worked with, displaying an incredible array of color and and light play. 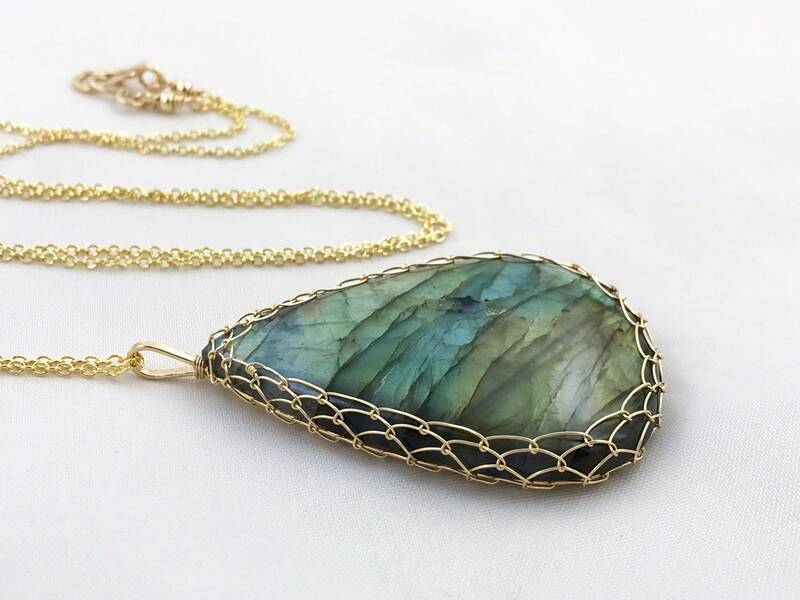 This Labradorite stone displays a gorgeous array of blue, green, orange and gold tones. It has excellent light refraction and color play. 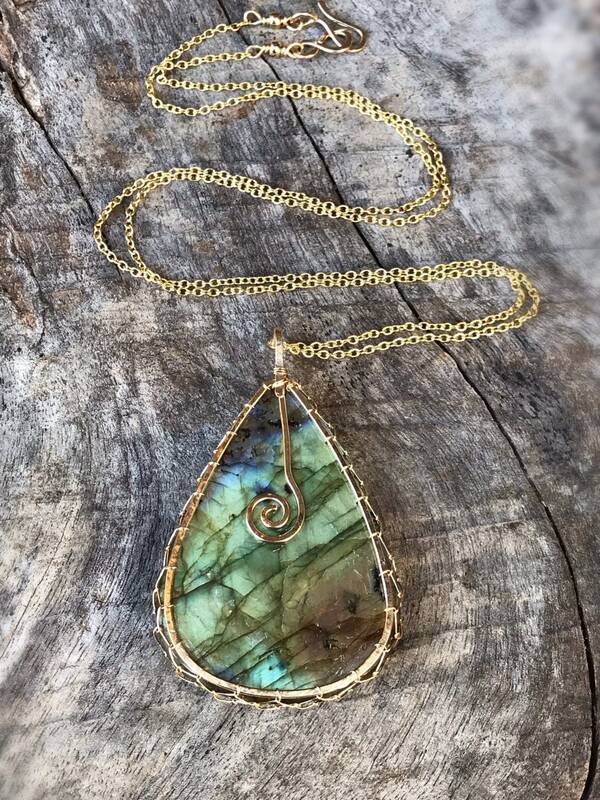 The stone is set on a hammered 14k yellow gold filled teardrop backing with spiral detail and mounted in a very secure 14k yellow gold filled woven bezel. -Pendant measures 52mm (just over 2") tall (not including the top loop which adds about 1/4"), 38mm (1 1/2") wide at it's widest point, and 7mm (just over 1/4") deep. 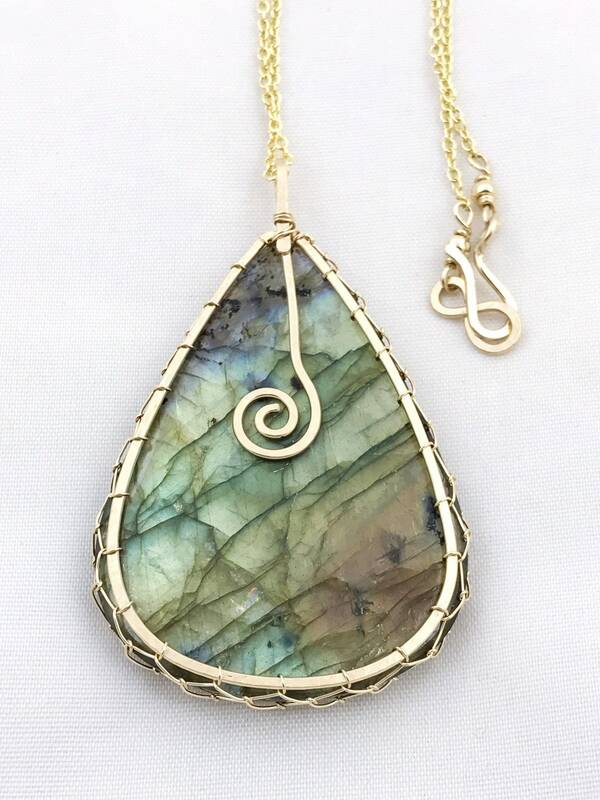 -The stone is a genuine untreated Labradorite, teardrop in shape, with a vibrant array of blue, green, orange and gold color and excellent "labradorescence" or light play. 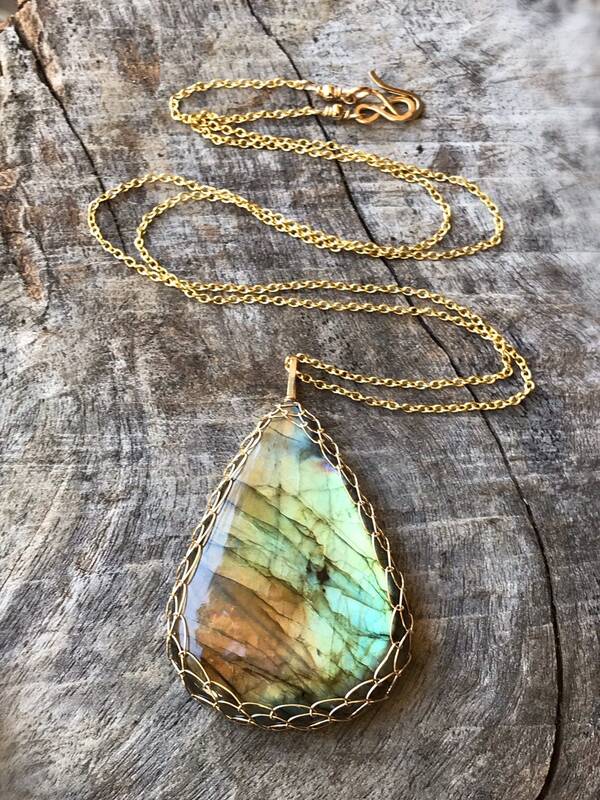 -All of the wire is 14k yellow gold filled, formed and shaped by hand. -Chain is a 14k yellow gold filled 1.5mm width 24" length cable chain with a hammered hook and loop clasp. It looks delicate but is quite strong. 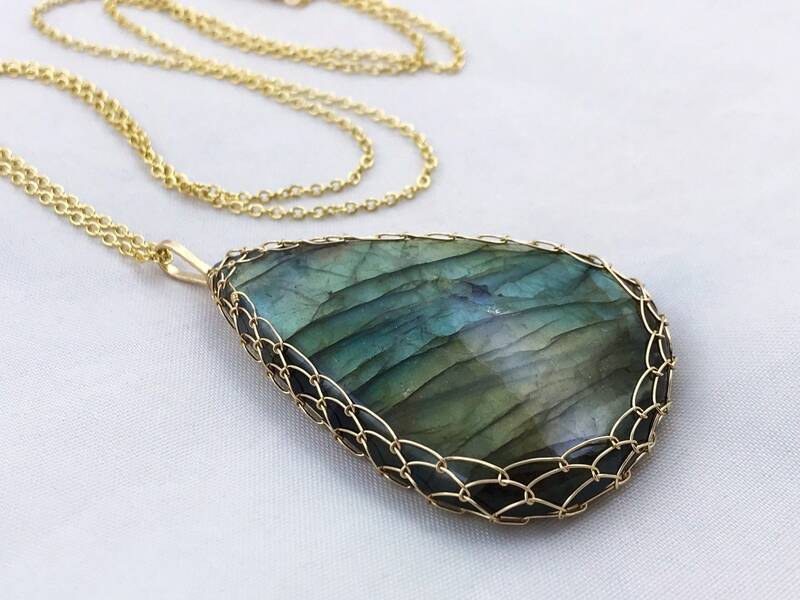 Labradorite is a mineral belonging to the Feldspar group, named after the Canadian province of Labrador, the classic locality of this gemstone. It is prized for it's vivid rainbow of color play and it's light refraction, known as Labradorescence. 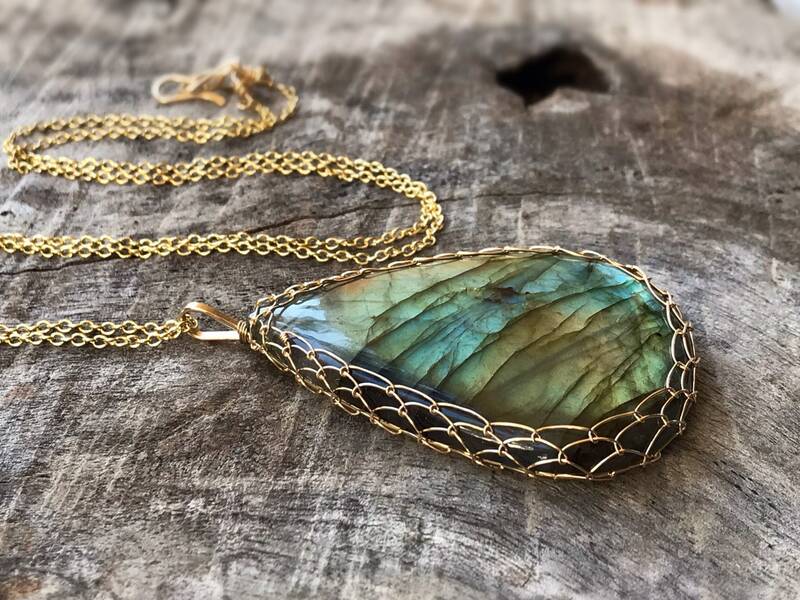 Labradorite is considered to be a stone of protection, transformation, harmony and balance, enlightenment, and honest expression of one's true self. 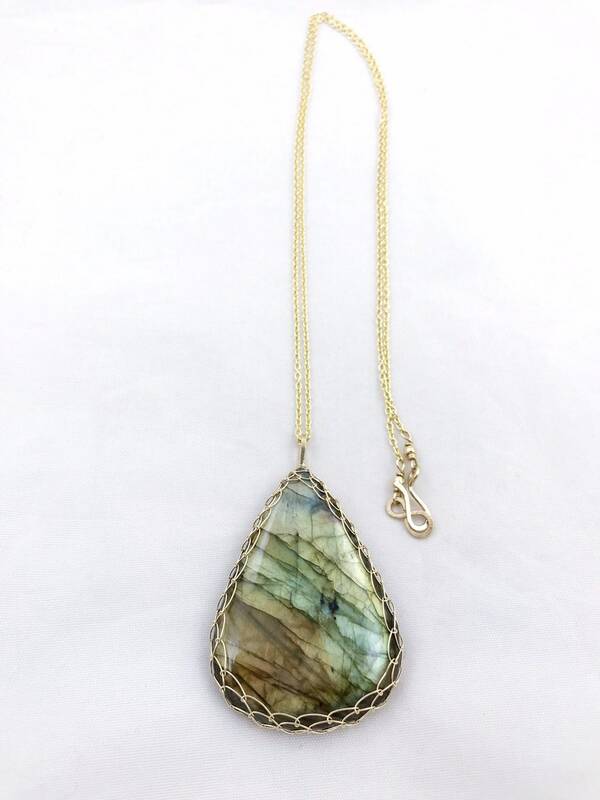 It is said to strengthen intuition, impart strength and perseverance, and raise the consciousness of the wearer.